As experts and industry leaders get a look at the specifics of the federal immigration reform bill being pushed in the United States Senate, the devil is beginning to emerge from the details. 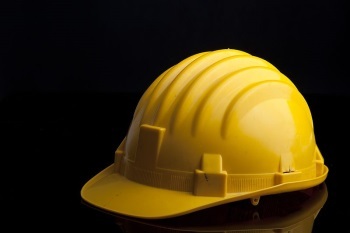 A headline that got our attention here at Construction Citizen was this from the Engineering News Record, or ENR: “Construction Debates Cap for Hardhats.” The piece lays out the raw numbers of what's in the bill versus what the industry needs. And the numbers don't add up. The construction-related cap is initially lower, since the total number of three-year, renewable visas that can be issued for all industries starts at 20,000 in 2015 and, thereafter, rises gradually. Construction’s share cannot exceed 33% in any given year, or fewer than 7,000 in 2015. In a May 14 letter to Senate Judiciary Chairman Patrick Leahy (D-Vt.), Geoff Burr, ABC’s vice president of federal affairs, said the Bureau of Labor Statistics projects that the construction industry will need 1.8 million more workers by 2020, “or 225,000 more workers per year through the end of the decade. “The very high unemployment rate in construction” – 13.2% in April – “makes it difficult to argue there’s a lack of available American workers,” says Kugler, formerly chief economist for the U.S. Dept. of Labor. Average wages for most types of construction workers also remain low – another sign that the building industry is not facing a labor shortage, Kugler says. Due respect to Professor Kulger, but there are a couple problems with her argument. First, she may not be aware that one of the biggest reasons employment in construction has remained largely flat while construction has been on the rise is that many workers are paid off the books. As we have reported, much of the problem can be traced to the fact that so many workers are misclassified. They’re on the books as “payable,” not as “payroll." This also helps to account for the low wages Kugler points to. Americans, even those who have been unemployed for quite some time, have not lined up to do these jobs during one of the worst recessions in the nation’s history. Until we clean up the industry and provide a real career path through initiatives like C3, this problem will persist no matter what immigration reform is passed in Washington. Your thoughts are welcome in the comments section.